Cindy Friedman has been a compassionate and leading advocate for good government and transparent public institutions for many years. She knows that success demands good planning every step of the way, whether for our public institutions or parks, open space, good neighborhoods or programs. In the early days, Cindy worked to improve our schools for every child. She was a cofounder of the nonprofit Arlington Schools Foundation, which worked with teachers and parents to set goals and then raised the money — all for improving our students’ education. She was a Town Meeting member. She led campaigns, and her home was often headquarters for good candidates running for office and for Proposition 2 1/2 overrides. When Cindy began working at the state level, in 2008, she brought with her this knowledge of finances and the needs and concerns of the people she had met and worked with. Cindy is an excellent listener. She really hears and understands the help and support people and communities need from the state on issues of education, healthcare, transportation, jobs, equality and justice, to name just a few. Please join me in voting for Cindy Friedman for state Senator on Tuesday, June 27. 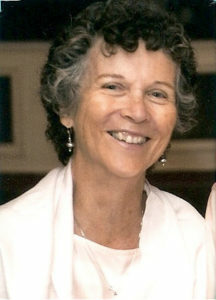 Janice A. Bakey is a former member of the Arlington School Committee.